There’s more to Scott than just his recent health injury scare with his collapsed lung aka Spontaneous Pneumothorax. Scott Mulvaney has a higher purpose to inspire you to LIVETHEFUEL! His Podcast Show is to help “FUEL Your Health, Business, Lifestyle!” He’s acquired 20+ years of Fired Up Success in sales and coaching, along with Epic Failures along the way. Oh and yes, he’s a former USFS Hotshot Wildland Firefighter! Scott‘s 20+ professional years includes conquering roles in sales, marketing, coaching, training, and leadership development. He has balanced his professional business career growth while flexing 15+ years across the fitness industry too. He is a “Scott of All Trade’s” with an adrenaline junkie passion for self-development and lifestyle transformation. Scott Mulvaney has a limitless mindset for growth. Current focuses are on growing in the public speaking, social media branding, and online marketing sectors. His conquered roles included successes with major companies including ADP Corporation, T-Mobile USA, and KGB formerly InfoNXX. Scott embodies the limitless energy necessary for personal and professional success. 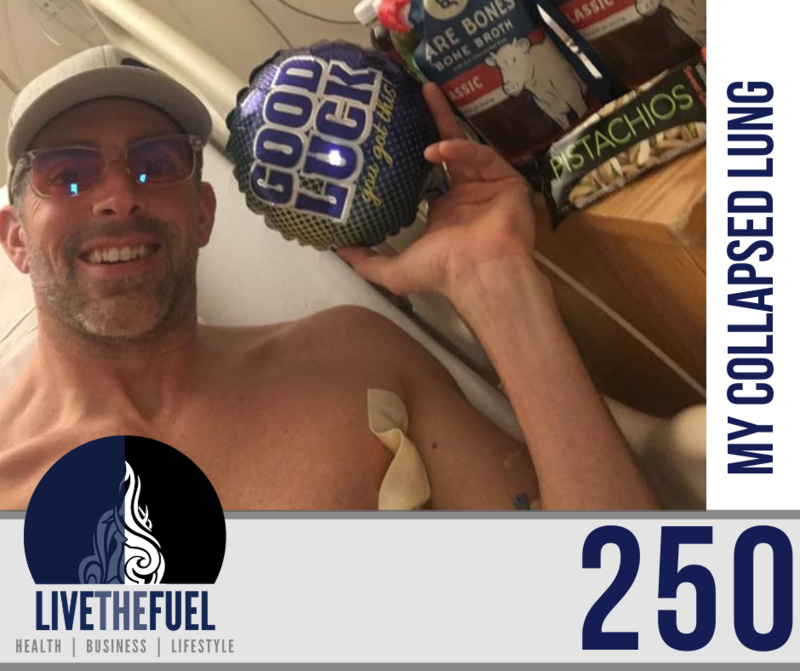 This is FUEL is thanks to his years in the health and fitness coaching space. His Lifestyle Freedoms include balancing CrossFit, Skiing, Cycling, Skydiving, and Travel. Scott balances professional pursuits with philanthropic activities, having served as a board member(s) and investing countless volunteerism hours with multiple 501(c)(3) organizations. Scott’s most extreme background experience stems from serving in public service as a Hotshot Wildland Firefighter with the US Forest Service as well. Scott Mulvaney competes in all types of action and endurance sports. Accolades include completing the Marine Corp People’s Marathon, half marathons, a Ragnar Race (200-mile relay), multiple OCR Races including Tough Mudder and Spartan Races. He is an avid mountain biker having competed in multiple races in GA, CO, and AZ and multiple 100-175 mile road cycling events to benefit the National MS Society, American Diabetes Association and other charities. Nutrition: what you put in is what you get out. Rest and Recovery: your body and mind heal the most at night. Self-Care: be your own Inner Physician, take accountability for your health. My final public service announcement is if you know tall, lean athletes, don’t scare them with this, but make sure they’re aware of blebs and what a Spontaneous Pneumothorax. A partially collapsed lung is no joke. I did find out from a good friend of mine, that her son’s girlfriend last year was finishing a softball tournament championship and the same exact injury happened to her because she was a tall, lanky, lean athlete. Now granted, I’m 41, so they’re not expecting this type of stuff. I guess that’s the fun of me being a health and fitness junkie, is I could survive a lung collapse better than most but you can still get injured. So again, last part of the big picture message here. Take care of yourself. Focus on self-care, what you put in is what you get out regarding nutrition. It’s important but also proper rest, and recovery, along with proper mindset, stress relief, and bringing the cortisol levels down. I was pulling out all the stops and I’m still pulling out all the stops so I can bounce back as fast and as healthy as possible. [02:00] How the injury happened and what went down to trigger this 35% collapsed lung. [05:20] During the holiday transition, the back rib was out of alignment, so I was not able to breathe properly. Especially during fitness activities. I got sent into a few occasional fits of aggressive coughing. Back in 2010 or 2011, I did the same thing while firefighting. I did see a chiropractor then and they put the rib back into alignment a few days later with none of this aftermath. I was fine, no major fits of coughing back then. So I never triggered the spontaneous pneumothorax aka the blebs that collapsed my lung. [16:00] I just did yoga that Friday, January 18th, before going for the X-ray. I think I’m going to zip in, grab this X-ray and then go meet Dr. Megan Cannon Ph.D. because I was going to record a new podcast that we’re going to air this month. So I think I’m just walking in walking out, grab an X-ray and they’ll send it over to Dr. Robin Kaplan of East Penn Chiropractic. [20:10] Scott passes the f*ck out?! I’ve never had this severe of an injury or trauma. I’ve had my shoulder rebuilt twice back in 1999 and again in 2007. That is all outpatient stuff. I’ve never been hospitalized. [29:55] Surgery was Wednesday, January 23rd, scored a new chest tube that day to help the healing process. I also got to enjoy a breathing tube for surgery, not cool. The next 24 hours gave me a rough throat, scratchy, and thirsty as hell once they take that thing out. So Thursday was so much fun for day 1 of post-surgery recovery.